Yacht charter process starts at the moment when you contact us, it ends when your holiday is finished and you return home without any problems. Every year, at the end of the summer season (at the end of October) charter term for the new season starts. As there is only one of each yacht, unlike the Cruise Ship and hotels, and so that the dates you want to book are not booked by another charterer before you; the earlier you book, the more chances you’ll have. Moreover, if you don’t have a particular yacht in mind, we have the opportunity to offer you more alternatives if you book earlier, in line with your demands. And early booking reductions will also save you more. But this doesn’t mean that if you don’t book earlier, you will not find an available yacht. You can book even one day before the date you want to tour. 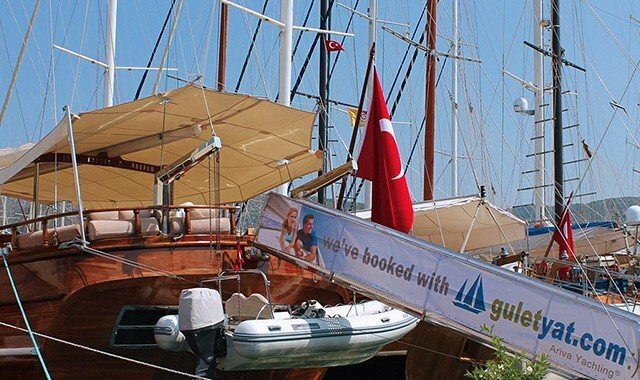 You can also benefit from the last minute reductions in these charters for the nearby dates. Of course, that is only possible if there are available yachts that meet your criteria. You can take a look at the yachts on our web site and can send us your demands by using our communication modules for the yacht/s you liked. Your demands will be responded within 24 hours maximum. While completing these forms, please specify if you want us to contact you via telephone or e-mail. Moreover, by directly calling us within the working hours, you can send us your demand or request an offer from us. Our (GMT+2) office working hours are between 09:00 am and 22:00 pm. After your demand has reached us, you will receive an e-mail from us, containing the yacht alternatives suitable for the details you provided. First of all, if these alternatives are more than one, you can specify the one that is the most suitable for you and obtain our opinion as to which one of those you chose would be better for you. Our sales representatives will guide you in the best way. After having decided on the correct yacht, we can move onto the second phase. The route to be followed, food and drink details, special organizations, airport transfer details will be put together and the yacht charter contract will be prepared. Although all the details are specified in the contract, except for the starting and finishing points, route details, food and drink details, organization and transfer details can be changed in line with your demands until the last minute. 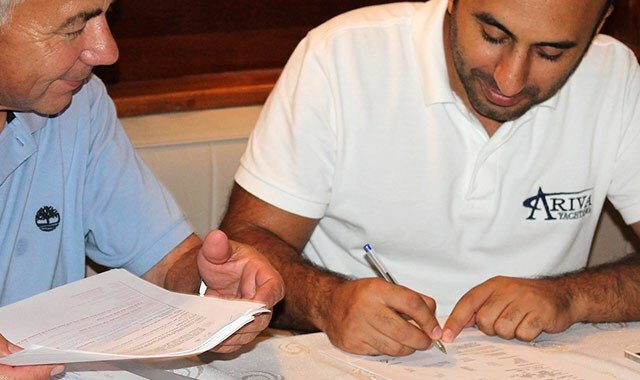 The yacht charter contract whose latest version is created and signed by us will be sent to you via e-mail. You must print and sign this contract and send it back to us via e-mail or fax. In order for the contract to be valid, 50% of the total charter value must be paid via bank transfer. As soon as the payment receipt reaches us, we make the final confirmation of the tour and rent you the yacht you demanded for the dates you demanded. If you demanded airport transfer from our company, your tour starts when we greet you at the airport. If your flight is earlier than the starting time of the tour, you can organize an activity for the waiting period or by leaving your luggage at our office, you can freely take a city tour. Until the starting time of the tour comes, our team will have completed all the preparations and you can start your tour. The fact that you entered the yacht you rented doesn’t indicate the end of our responsibility. 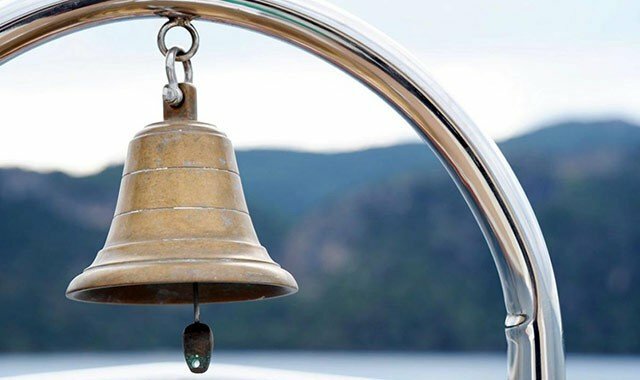 During the charter period, you can communicate all your demands to your customer representative either directly or via yacht captain. At the end of the charter period, if it was stated earlier on, one of our vehicles takes you from the yacht and brings you to the airport for the transfer.